Essar Projects India Limited provides you the best range of bpo services, shipping services, telecom services & realty services with effective & timely delivery. Aegis, founded 30 years ago in the United States, is a global outsourcing and technology company committed to impacting clients’ business outcomes by focusing on enhancing customer experience across all touch points and channels. At Aegis, we have placed customer experience (CX) management at the core of our business strategy and envision to constantly innovating in order to have superior execution for our clients, thereby creating wealth for all the stakeholders. We aim at providing a framework for all our operations and to achieve this we adopt the mantra – happy employees, happy customers and happy shareholders. Our core values define our approach, attitude and our orientation towards each other as Aegisites and towards our work for our clients. Aegis has operations in 56 locations across 13 countries with more than 55,000 employees. We service over 300 clients from verticals such as Banking and Financial Services, Insurance, Technology, Telecom, Healthcare, Travel & Hospitality, Consumer Goods, Retail, and Energy & Utilities. The company is wholly owned by the Essar, a USD 39 billion conglomerate. Essar's logistics business provides end-to-end logistics services – from ships to ports, lighter age services to plants, intra-plant logistics and dispatching finished products to the final customer. 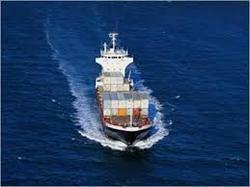 We own transshipment assets to provide lighterage support services, and onshore and offshore logistics services. We also manage a fleet of 5,000 trucks for the inland transportation of steel and petroleum products. The sea transportation business has a diversified fleet of 27 vessels including VLCCs, mini-bulk carriers, Supra maxes, tugs and cape-sizes to provide crude oil and product transportation services. We have more than 220 ship years serving leading Indian and global oil majors and commodity traders and a combined tonnage of over 1.4 million. We currently have an order book of 12 new building vessels. India's first countrywide chain of multi-brand and multi-service outlets in the telecom retail space — The MobileStore — was launched by Essar in 2007. Today, The MobileStore currently runs over 900 outlets in over 150 Indian cities and towns. The MobileStore is the largest Indian telecom retail network in the organized sector.